The Use of Audio & Spoken Response Technology in Modern Day Assessment. Part 2 of a 5 part series exploring the benefits of technology-enhanced items in education & assessment. Brought to you by Learnosity and A Pass Educational Group. The demand for new assessment technologies is continuing to grow on a global basis. This paper takes a look at the many uses and benefits of audio within assessment—both in terms of playing audio stimuli to students, but also in relation to spoken response capture. The audio and spoken response TEIs enable educators to upload an audio file that is then played back to the learner. Students then have the ability to respond via spoken response, the captured audio response can be saved and the assessor can play the recording back as needed. Assessors can also use the Audio TEI functionality to provide oral feedback to the student. Possibly the most distinct advantage of this item type is the way in which it enhances learning experiences by creating a real-life scenario for the student.It is particularly beneficial from a language-learning perspective as a conversation-like experience can be created between the educator and learner. This contributes to a more relaxed and natural experience for the student and a more thorough assessment for the teacher. A related advantage is that the assessor can experience both the vocal tone and inflection of the learner, which would otherwise be lost if the learner were to write or type their response. This is particularly important in language learning, but is also of relevance in other subject areas, such as literature and public speaking. Another significant advantage of the audio TEI from an educator perspective is its ability to save time. Consider oral examinations, for example, whereby the teacher makes conversation with each individual student to assess their knowledge of a particular lesson that the entire class has just completed; the conversations from one student to the next are likely to be very repetitive and not an efficient use of limited class time. With the audio TEI, the educator can record a series of questions for the students to respond to after the lesson, thereby saving valuable face-to-face time for additional instruction. This eliminates speaking with every individual student. Not only that, the group of students can respond to the assessment simultaneously, which also saves time that could otherwise be utilized more effectively. In assessing student responses, teachers also have greater control over the review. They can pause the audio if they need to step away or can replay the audio, allowing for a more thorough assessment conducted at times that are more convenient for the teacher. Similarly, utilizing the audio TEI for oral examinations saves time for students. Speaking is generally faster than writing, or even typing. Instead of spending valuable time typing out the first stanza of a poem or the last lines of a play, students can speak these types of content. This allow students to answer certain questions more quickly, thereby allowing teachers to conduct a more thorough assessment in the same amount of time. Additionally, students can, at the teacher’s discretion, have more latitude in when and where the examination is conducted. Use of the audio TEI for assessment and practice alleviates the anxiety sometimes felt by students in a group or one-on-one dynamic. This more natural and relaxed environment allows students to better present their skills and allows instructors to better assess them. There may also be benefits for students who struggle with auditory issues, such as hearing impairments or sensitivity to sound. The teacher may record the audio at a normal volume and students may adjust it as needed to a level that is comfortable for them, creating an atmosphere for these students that is more conducive to accurate assessment. Although there are a multitude of possible uses of the audio TEI, this item type lends itself particularly well to several specific scenarios. Teachers can record words, syllabic units, and phrases. Then, teachers can instruct students to repeat the recorded message and assess their pronunciation. Instructors can assess a student’s ability to understand the foreign language when spoken. Teachers can record audio and then ask students questions, such as to translate the recorded material or to respond to it. Teachers are using the audio TEI in a student-facing way to gauge student comprehension of the spoken language. Conversely, the audio TEI can be used in a teacher-facing way to assess a student’s speaking ability. Language instructors can have students speak words, phrases, or passages written in the foreign language or written in the student’s native language, requiring students to translate the material first. Teachers can instruct students to answer specific questions or give them an open-ended prompt, such as to articulate their daily routine in the foreign language. Most dynamically, the audio TEI can be used to combine both of the former methods of assessment. Teachers can create a conversation-like dynamic in which they speak to the student and the student responds. This creates a highly organic environment, mimicking real-life interaction. Finally, teachers can use the audio TEI to provide feedback to students. Teachers can provide correct pronunciations of words or syllabic structures. This method can be employed so that the student hears the teacher-recorded audio automatically as part of the instruction, or such feedback can be prepared after the teacher has reviewed the initial audio session and provided as part of a student-specific review. Some forms of literature are intended to be read. Others, however, are most authentic when they are delivered orally. Plays are generally meant to be performed, speeches meant to be heard, and songs meant to be sung. 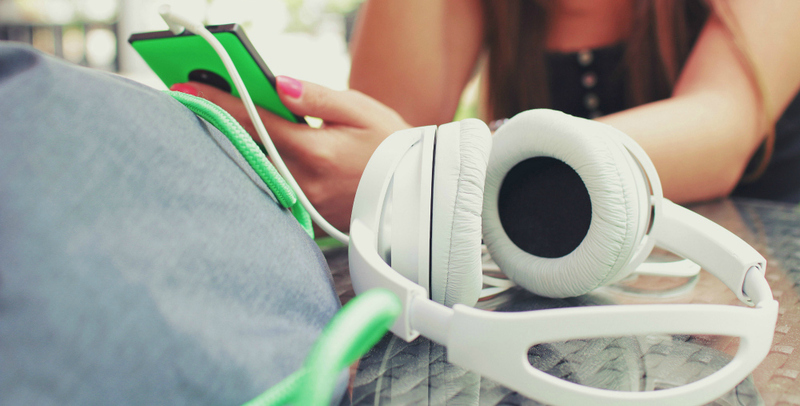 Audio TEI, used in a student-facing way, gives students these intended experiences. Teachers can provide audio from a variety of different sources and have students answer questions based on the recording. Students can also be provided with transcripts for more visual learners, or as a learning exercise in which students must compare and contrast hearing versus reading the material. Even in historical perspective courses, famous speeches were originally heard by audiences, either in person or through some form of media. Providing the audio rather than a transcript, places the material in its original context, creating a more authentic experience, as well as a more true-to-source assessment. Classes involving the development of oratory skills are another great venue for use of the audio TEI. Teachers can use the technology teacher-facing to assess students’ speaking ability—whether it be public speaking, dramatic reading, or another oratory skill—efficiently and effectively. One component of courses such as these can be critique. Students are sometimes asked to critique their own performance or that of another. Instructors can record audio performances for student critique. Saving the recordings can also help students and teachers assess a student’s improvement over the duration of the course. Spoken response assessment has traditionally been perceived as more difficult than many other technology-enhanced item types to implement and indeed can be inherently complex to build in-house. This has, in part, been due to larger file sizes as well as the infrastructure and bandwidth limitations found in many schools. Performance has always been a top priority at Learnosity, and several key features have been implemented to ensure not only that our audio questions and features are suitable for use in low bandwidth environments, but also that the system can easily scale to cope with fluctuating demands. By breaking up and sending the audio in small chunks, we provide a resilient transfer mechanism that has been proven to work in countries and regions with low/poor-quality Internet connections. Once uploaded, the initial WAV recording is converted by Learnosity to MP3, providing a smaller format perfect for integration and transfer to third-party audio analysis and scoring tools. “Chunking” provides a superior alternative to streaming. With chunking, we can ensure that the student response is preserved exactly as is. Streaming focuses on immediate real-time data transfer first, whereas chunking puts the fidelity of the student response first. At Learnosity, we keep a close eye on new and emerging technologies to ensure our products provide the optimal user experience. Our latest version of the Audio TEI uses WebRTC, an API that, among other things, supports browser-to-browser applications for voice calling and video chat without the need for internal or external plugins. This allows us to remove the Flash dependency, an additional point of failure, and allows us and our clients to make audio recordings available as a fully HTML 5 compliant solution. Try Demo. To ensure the optimum experience for the user and to ensure that all audio files submitted are high quality (this is particularly important where the audio recordings are machine graded), simple audio quality checks can be implemented before the user enters the assessment process. This algorithm quality checks the recorded sample to see if it is too loud, too quiet, or whether the level of background noise is having a detrimental impact on the quality of the recorded audio. The results are then fed back to the user, which gives them a chance to adjust their hardware settings to ensure optimum audio quality during the assessment period. Try Demo. All of the Learnosity question types are designed to seamlessly integrate visually into third-party products. To this end, the design is deliberately pared back and minimalistic. However, to increase client flexibility, we also offer a wide array of configuration options, including configurable user controls and layout options. The recorded audio files can be submitted for simple grading or advanced rich feedback, either manually or via advanced third-party linguistic scoring tools. The audio TEI has the flexibility to be used in teacher- or student-facing ways, or as a combination of the two. This customizable nature provides an almost unlimited number of ways in which the technology can be employed in a variety of disciplines to help teachers more thoroughly and economically assess student performance. As such, audio TEI has the potential to create more authentic and productive learning and assessment experiences From a technical perspective, the continued performance improvements and advances in modern Web-based technologies means that we can expect to see higher usage of the Audio TEIs in assessments in the years to come. Interested in learning more about technology-enhanced items in assessment? Watch for our next angle, which takes an in-depth look at the use of rule-based scoring for Math and Chemistry. The “smart” scoring approach taken by the Learnosity scoring engine (MathCore) enables the assessment of students’ problem-solving skills on authentic, complex tasks. It also facilitates the provision of instant feedback to students and makes scoring of the responses affordable, as it removes the need for manual-scoring for many Math and Chemistry questions. From an authoring perspective, it saves huge amounts of time because question authors do not need to directly input every possible correct answer for open-ended questions, but rather they can quickly and easily set up the parameters of an acceptable response. To learn more, look for the next part of our technology-enhanced items series, “Beyond 1+2=3: Autoscoring for Open-Ended Math Questions.”. Partnering with companies across a range of sectors—including K-12, Higher Education, and Corporate Education—Learnosity provides the technology framework for authoring, assessment delivery, and reporting for many of the world’s best assessment solutions. Leveraging the Learnosity offerings enables clients to enhance any digital product, new or existing. It also reduces the need to reinvent the wheel, significantly increases speed to market, and decreases the overall cost of ownership. Learnosity offers one of the widest ranges of technology-enhanced items on the market, with over 55 distinct question types currently available, ranging from the more basic fill-in-the-blank question types to spoken-response capture, Cartesian graphing, handwriting-recognition technology as well as advanced Math and Chemistry formulas. The authoring experience is designed to allow any user—professional content author or the more casual teacher author—to create advanced technology-enhanced items in minutes. It’s as simple as using any word processor. A wide range of implementation and storage solutions are also available. Clients can choose to use the Learnosity item bank, which uses a flexible, tag-based system for organizing Items as well as providing test-construction facilities. Alternatively, clients can choose to simply add the Learnosity TEI editor to their existing Content Management System. The Learnosity reporting solutions allow clients to easily embed HTML reports, with useful insights from individual and group analytics, on any webpage. Clients also have on-demand access to the raw data, providing the flexibility to use as needed at any time. Interested in Learning About Technology Enhanced Items? Sign up to receive release notes & product update mails from the Learnosity crew.